I’ve always marveled at the power of words. If you, or someone in your life, says something out loud and repeats it enough, you come to believe it! Or: I always get lost. Or: I don’t have enough money for that. Our awareness is the tapestry of our life. Our language is found in every thread and fiber of our reality. By changing one word or thought within ourselves, we expand, contract or alter our reality. The thoughts and conversations of generations before us may still be resonating in our lives. Some of our language patterns and beliefs are less than our true potential. There are wonderful realities awaiting us all. Our Words hold the key to our next reality. 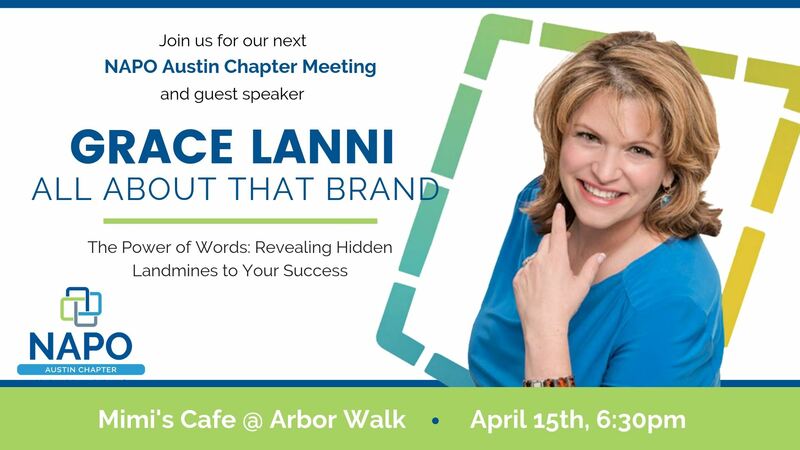 Join Grace as she provides tips to recognize your language landmines. As a courtesy to our hosting establishment, we suggest that all attendees purchase a beverage or food. Guests are welcome to attend at a cost of $25.00 per meeting (optional meal at guest expense).